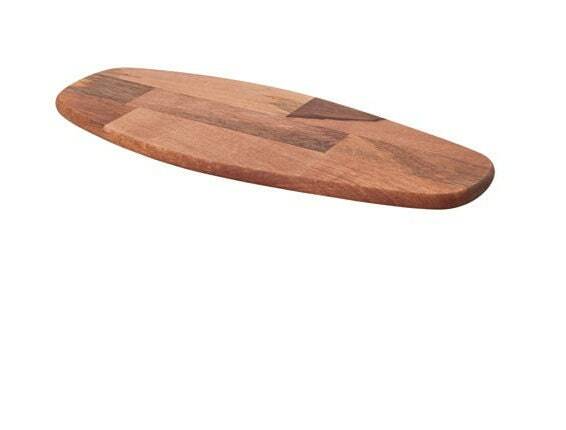 Mangowood serving board with my favourite colour combination - blue and purple. 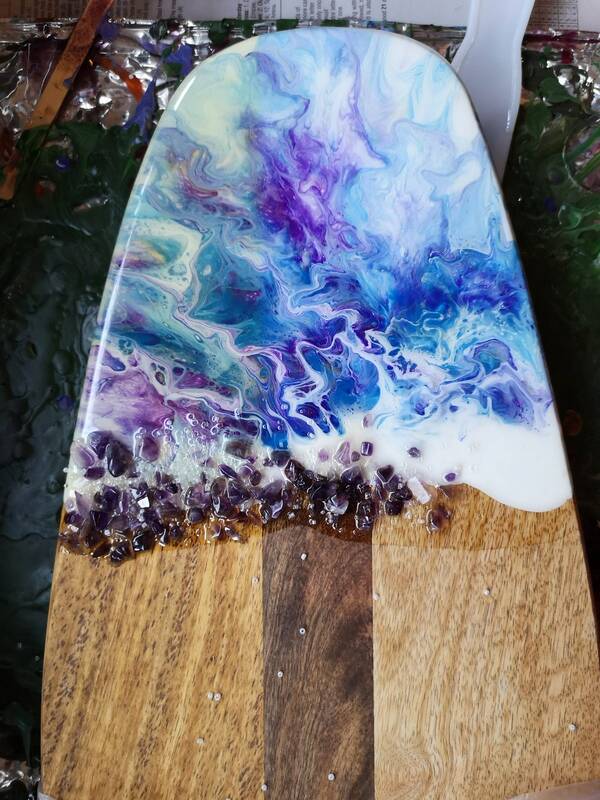 I also wanted to add a little sparkle to this board so the amethyst stones add some bling and some great texture - very touchable! 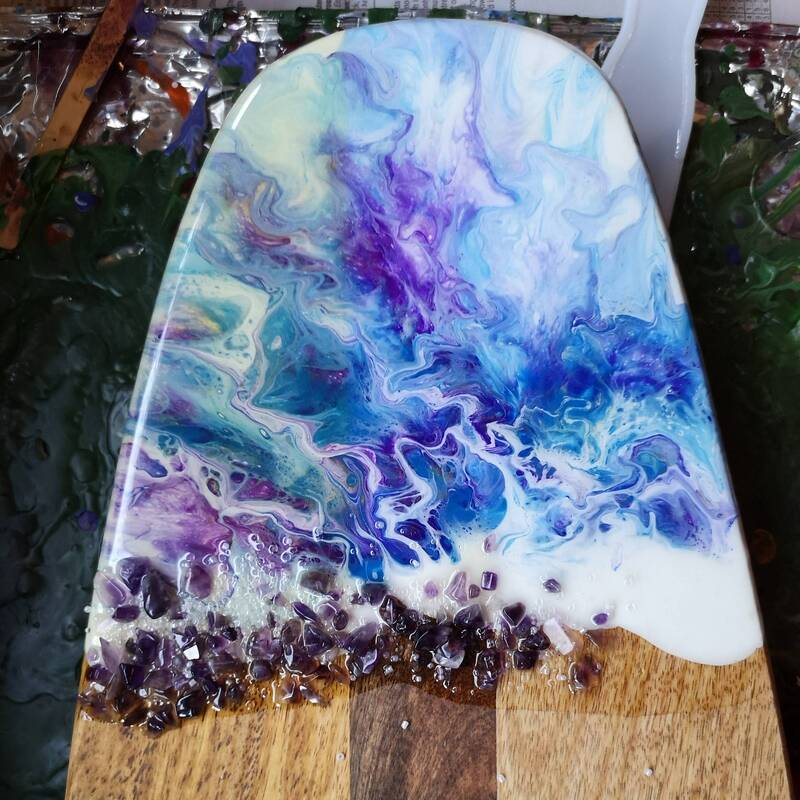 Food-safe resin has been used to seal the artwork and amethyst, so you can pile on your dinner party goodies and you're good to go!